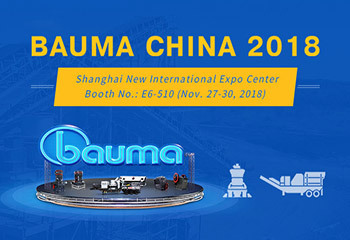 Bauma CHINA 2018 is opened today. By virtue of fantastic design and excellent reputation accumulated in this industry, SBM's booth (E6 510) attracts thousands of old customers and new friends today. How busy it is! SBM (Shibang Industry & Technology Group Co., Ltd.) will attend The SITP 2018 , It is a great pleasure to invite you to visit our booth there. SBM (Shibang Industry & Technology Group Co., Ltd.) will attend The 124th Canton Fair 2018 , It is a great pleasure to invite you to visit our booth there. SBM (Shibang Industry & Technology Group Co., Ltd.) will attend The Construction Indonesia 2018, It is a great pleasure to invite you to visit our booth there.